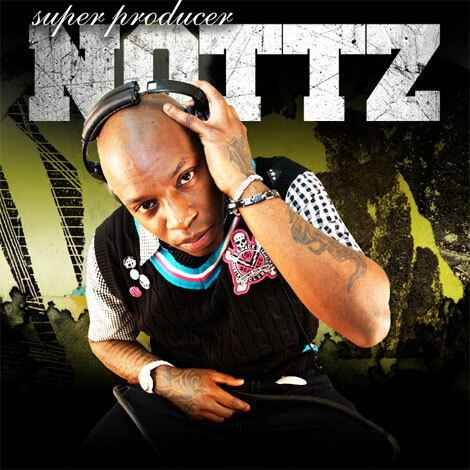 Grammy Nominated producer Nottz remixes UK independent label Artist Adama’s track. "Take Me Home"
NEW YORK, NY February 1, 2008 — We are very happy to announce the Grammy Nomination of Record producer, Nottz Raw, for his production on the Kanye West album ‘Graduation’. Over the past decade, the Virginia-based Producer has made hundreds of classic beats for both newcomers and industry legends. And, judging from his future plans, he’s just getting started. To put it bluntly, Nottz Raw has one hell of a catalog. In a little over a decade the low key Norfolk, Virginia, native has managed to supply backdrops for hip-hops most notable names from Busta Rhymes, SNOOP DOGG and Method Man to Scarface, G-UNIT, Notorious B.I.G. DR. Dre AND THE LIST GOES ON!!! Nottz latest collaboration is with a newcomer from the UK, Adama. He heard of Adama’s music through her myspace page and was instantly interested in working with her. Nottz approached Adama and asked to remix her song ‘Take Me Home’. The result is a bass pumping new version to the song that will be added as a bonus track on Adama’s debut album ‘Delicate Dragon’ which is due for release in April 15th 2008 on 4Dpeople Records. Adama is an artist from the UK who has recently moved to New York and is getting folks here very excited about her unique style. Nottz is not the first to fall into Adama’s creative web. She has already worked with the likes of the Jerusalem Symphony Orchestra, Barrett Martin of the Screaming Trees and Peter Buck of R.E.M. Adama’s upcoming debut album which was produced by Gili Wiseburgh (Frou Frou, Imogen Heap, Sugar Babes), incorporates eclectic flavors that appeal to people cross-genre from rock, r&b, pop to jazz. Adama’s style gives a sense of credibility and authenticity but still maintains the melodic focus of pop. Adama is scheduled to perform with her band on February 6th in the Cutting Room 19 W 24th St New York, NY 10010 for at 9:30pm. For press tickets to review the performance or inquiries about featuring Adama, please call 561.506.6530. Also visit Adama’s websites online at http://www.adamaworld.com/ or www.myspace.com/adama . Do not miss a chance to watch this rising star perform live.